Located in Panvel, Hotel Sarovar Grand offers the best stay experience that a traveller needs for a memorable vacation. 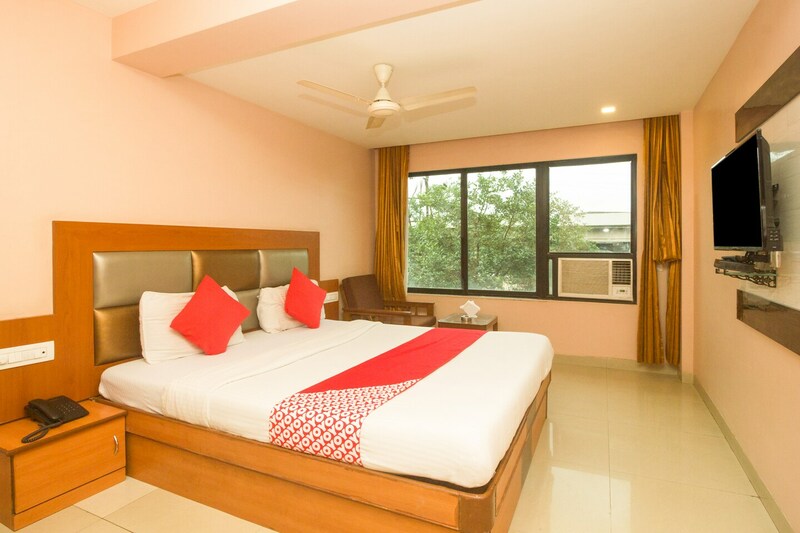 Warm and vibrant decor of the room ensures a pleasant stay. CCTV cameras are installed in the premises for your security. Laundry service is also offered for your convenience. The hotel offers free Wi-Fi for the guests who dont want to miss upon their emails and social media updates while travelling. Well lit rooms, professional staff and world class cuisine at the in-house restaurant make the trip enjoyable and memorable. The beautiful Karnala bird sanctuary is just a short drive away and offers a brilliant opportunity for photography.